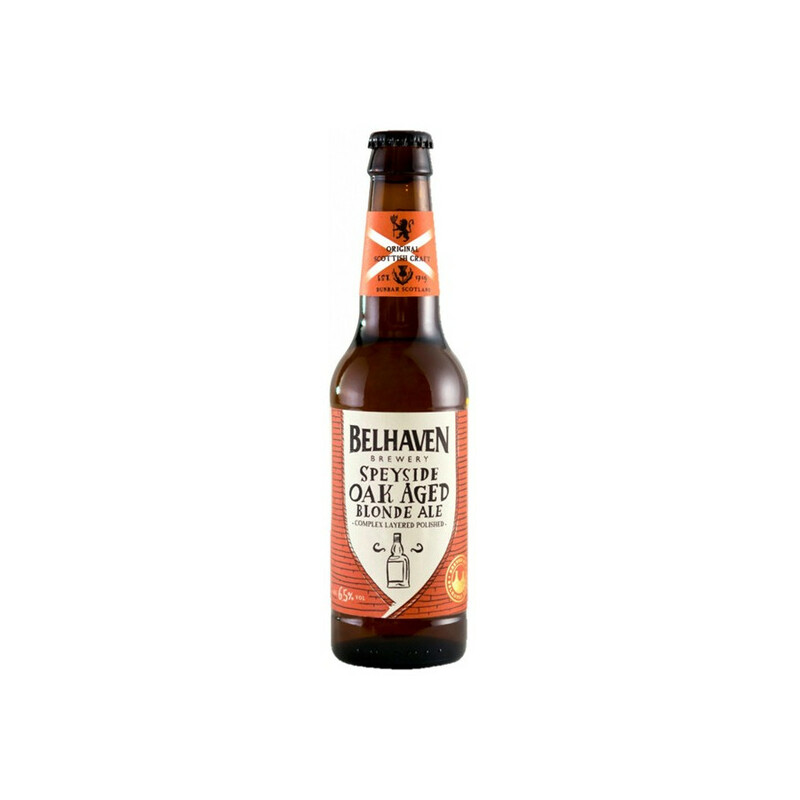 The Belhaven Oak Aged has been aged in Speyside whisky barrels that imparted rich aromatic notes of oak to the beer, giving its round, silky golden body. 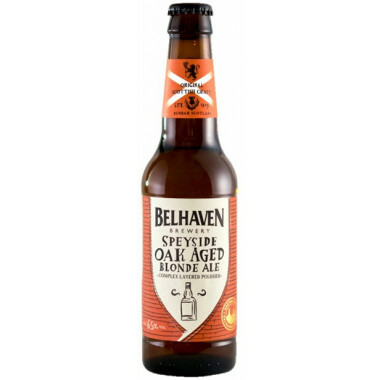 This strong blonde beer develops a clean, malty finish with vanilla flavours and sweet whisky notes. In the 12th century, monks undertook experiments to produce beer. Documents attest that Belhaven Brewery was operating as early as 1719. John Johnstone was the first buyer in 1719. His daughter married Ellis Dudgeon and the brewery produced beer for 150 years, under the name Dudgeon & Co. In 1846, the train line reached Dunbar, where the Belhaven distillery is located, opening the market to competition. Dudgeon & Co specializes in malting, while still producing small quantities of beer. After World War II, Sandy Dudgeon created the Belhaven Bill character to advertise the brand. In the 1970’s, the family sold the brewery and many successors developed the brand even further, which was even enlisted on the London stock exchange in 1996. In 2005, the Suffolk brewery Greene King purchased Belhaven and keeps investing for its development. Colour: amber, and top head. Nose: floral, honeyed with roasted malt and vanilla notes. Palate: sweet malty flavours, notes of fruits and flowers with an oaky vanilla and bitter backdrop. A rich yet refreshing body with typical bourbon whisky notes.